We brewers believe that good beer needs to be accompanied by great food and great music so we’ve pulled together some local talent to add to the crazy line up of beers we are going to have. If you are a member of Mad Fritz you are sure to have had some of Chef Josh Mitchell’s creations at our pick up party. PMW or Poor Man Whiskey is the best Jam Grass Band in Nor Cal. 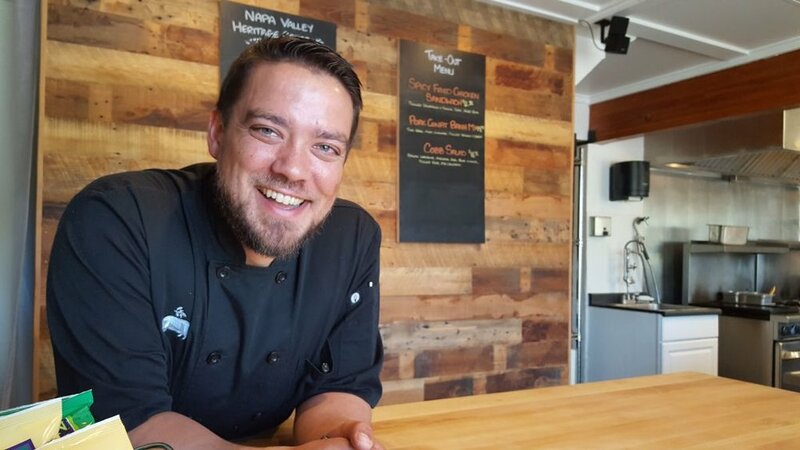 Born and raised in Napa Valley Josh Mitchell studied at the Culinary Institute of America Greystone (CIA) and continues to build his career in the area. Josh has worked in some of the most prominent hospitality venues in the area including: Auberge du Soleil, Meadowood, Carneros Inn, Bistro Jeanty, Thomas Keller Restaurant Group, SolBar and JoLe. Josh’s enthusiasm for food began at a young age. Josh was born into a family with a long history of farming. Growing up farming was not only a necessity but a passion. Josh continues to farm today and his love for the land and animals continues to grow. Josh’s admiration for the relationship between the land and animals has led to the raising of heritage pigs. Napa Valley Heritage Catering prides itself on using locally grown foods, from the pigs raised by Josh, to vegetables harvested at local farms. Our menus are created to enhance the flavor and subtle nuances from carefully selected produce and proteins. Having experiences in many hospitality venues. Josh has been able to observe not only the importance of using quality products but also the importance of the relationships made with the people providing the product. Over the years we have established valuable relationships with local purveyors, farmers and hospitality partners. Nurturing and maintaining these relationships and the relationship with our community is a mission.